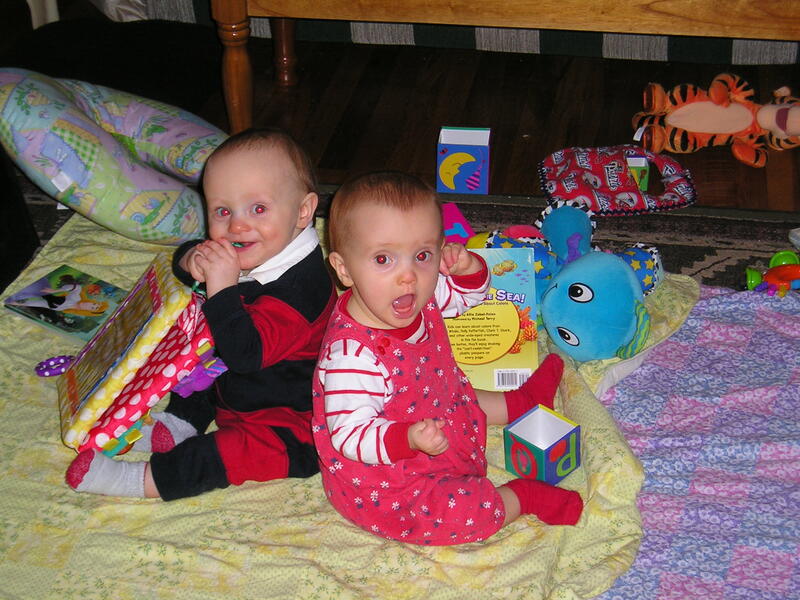 This one was taken in November of 2005…which means the kids were a few months shy of 1 year old. So cute! And I love how Burke especially looks like a little tiny Burke! I’m with What A Card! If I saw that photo and had NO idea from whence it had come, I KNOW I’d identify Burke as Burke! That smile just gets bigger, but it’s the same. 🙂 They’re both so precious, Nancy.